Located at 69 Sand Pit Road in Danbury, CT next to the Portuguese Cultural Center. We are located in the medical building in the back and we have suites on the first and second floors. 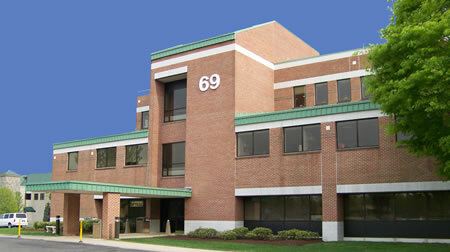 Our office is 1 mile from Danbury Hospital. The Danbury practice consists of Ophthalmologists, Optometrists, Opticians, an Oculoplastic Surgeon and a board certified Hearing Specialist. C.P.I., F.A.C.S., F.A.A.O., F.A.P.C.R., F.A.C.R.P. *At the light at the end of the connector, turn left onto Federal Road. At the second light turn onto Starr Road. At the stop light, continue straight (Sand Pit Road). The medical center is on the left. Number 69 is the green roofed building on the rear of the complex.